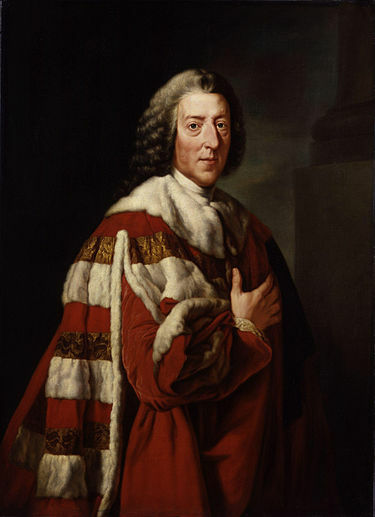 William Pitt, First Earl of Chatham by Richard Brompton, 1772. This academic year is the twentieth of my career, and so I have now been teaching the American Revolution every other year for two decades. At the start of every semester I face the same challenges, to convince a new group of students that the American Revolution was not pre-ordained; that, even into the early 1770s, it was not inevitable. Connected to that, I need to disabuse them of the notion that the declaration of independence followed the growth of a nationalist and distinct American identity or character, a powerful belief of a people in a unifying set of values that over a long period of time caused them to reject the notion that they were British, and that made affection and commitment to British political forms and imperial ambitions unthinkable. I was honored to be part of the joint issue of the Journal of the Early Republic and the William and Mary Quarterly: “Writing To and From the Revolution.” The issue fit well with my pedagogical goal to show students that the American Revolution was a significant part of a long early modern conversation about the relationship between governors and governed, the nature of monarchy, political economy, and so many other things. My goal in my teaching is to allow the American Revolution the grandeur and centrality I believe it had (and that my students have no doubt that it had) not by separating it out as belonging only to a story of nation-making and so a possession of those who are citizens of that nation. 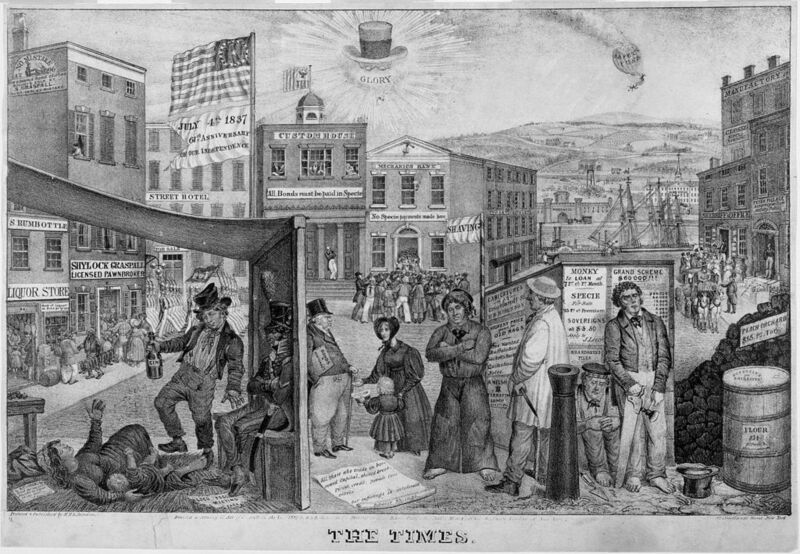 The Times by Edward Williams Clay, a depiction of the impact of the Panic of 1837. Instead, I try to show them that the revolution was part of a conversation that began in the early modern period about how to better the conditions of each of us and strengthen the obligations we owe to one another, the duties and responsibilities we have for each other. By showing how the revolution fits within that conversation it retains its grandeur while, hopefully, not imparting a sense of the exceptional and the particular: I hope my students will see the residents of British North America engaged in a charged often acrimonious and crucial series of conversations that were larger than any one group and more significant than the creation of any single nation. By asking its contributors to think about how the American Revolution has often been used as either an ending or a starting point, by asking us to investigate questions that would do neither, the editors of the joint issue allowed me to make a scholarly statement that supplemented my longstanding goals as a teacher. 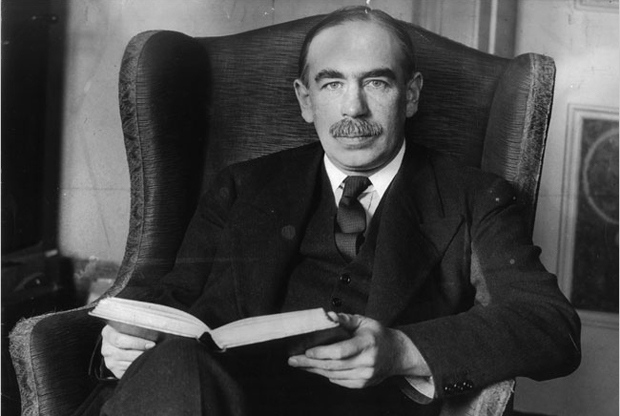 John Maynard Keynes around the time of the publication of The General Theory of Employment, Interest, and Money (1936). I chose to try to address two historiographical questions of great current interest—the nature of the central government/nation‒state in British North America and the Republic, and the connections and relations between slavery and capitalism. I felt that these two historiographies could speak usefully to each other, and that both would benefit from a discussion about the nature of central authority in North America and how central authority interacted with economic development over long period of time, a period of time that required not treating the American Revolution as a starting or an ending point. Finally, a few words about the images I have chosen to accompany this short post. I have thought for some time, and those who read my contribution to the joint issue will get some sense of why that is, that knowing a bit about William Pitt the Elder is crucial for understanding the time and the shape of the breakup of the British Empire—one of the most significant events of the eighteenth century, that knowing a bit about the Panic of 1837 is crucial for understanding the time and the shape of the breakup of the U.S. Republic in civil war—one of the most crucial events of the nineteenth century—and that knowing a bit about John Maynard Keynes is crucial for understanding how we might meliorate some of the horror of what has come afterwards. I never thought I would have an opportunity to try to talk about those two events and that person in one essay; it never occurred to me that journal editors would conceive of a project that could grant me such an opportunity. The joint issue has done so, and thus the images accompanying this post have real meaning for me. Andrew Shankman is an Associate Professor of History at Rutgers University, Camden, and a Senior Research Associate at the McNeil Center for Early American Studies.